Holy Week in Spain is full of cultural traditions that involve many aspects. The truth is, of course, that gastronomy is a key element to all festivities, since food is another example of our culture and idiosyncrasy. Holy Week, therefore, is one of the festivals with the greatest Christian tradition and the typical foods of this time of year contribute to a very important part of our identity. 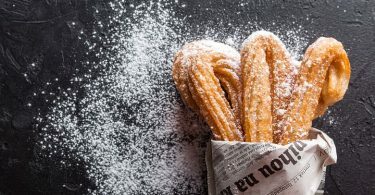 Today, ShMadrid will share all about gastronomy during Holy Week, but in this article we want to focus on the sweetest part: traditional sweet treats. The typical sweets of any holiday are always favourite with Spanish people. They are like the icing on the cake for some events, they turn a simple party into an unforgettable day. It all starts with the roscón de reyes on January 6, the wonderful dessert that we almost like more than the gifts we receive on that day. Another example is the panallets de Cataluña, a sweet dessert made with marzipan, typical for the Castanyada, which is celebrated in that autonomous region on November 1. Another example is the Galician fillolos, typical for Carnival. It is a kind of crepe, but more delicate, and usually served with sugar or honey, although you can surely add anything you want. Also for the same time of Carnival, but more in the central part of the Peninsula like Castilla, flores de carnaval are typical, a fried batter based on flour, eggs, anise and sugar, flavored with orange or lemon. In April, specifically during one of the great fairs of Andalusia, the Feria de Abril, it is common to eat buñuelos and churros, as they are ideal to recover from the long days of singing and dancing, which are typical for the event. 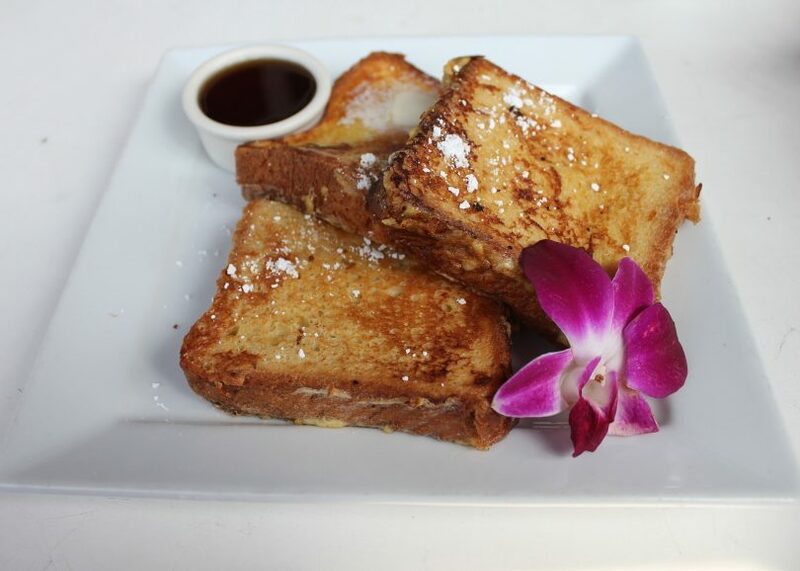 And now at last we can share the sweet dishes for Holy Week. This festive season also has its special sweets, sweets that mark a happy end to a sometimes hard time for Christians during fasting. The first sweets we will talk about is the mona de pascua, a Catalan gift for godchildren on the Monday after Easter Sunday. It is usually a cake with chocolate eggs as decorations, but there are also variations of chocolate figures that represent popular characters for children and young people. 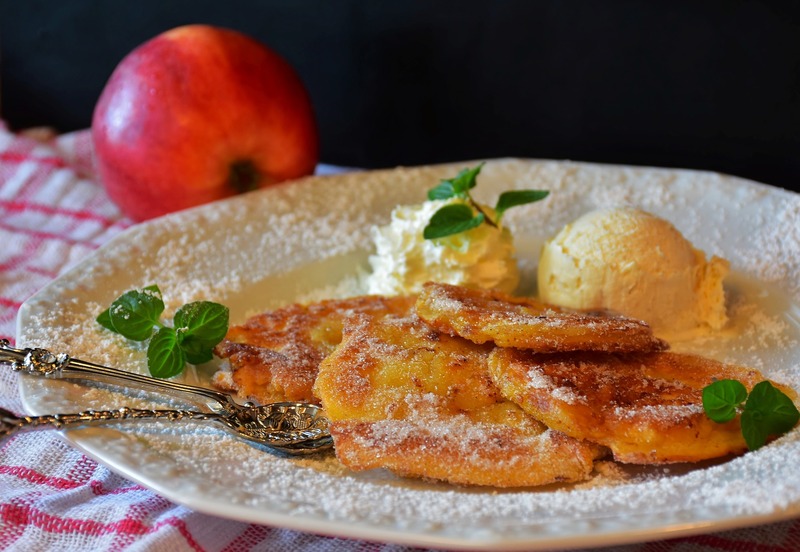 On the other hand, the torrijas, which are typical for the Community of Madrid, are proof that hard bread can still be used in a delicious way. They can be made with milk or wine and can be sprinkled with sugar. There are also other recipes to be found if you search well. 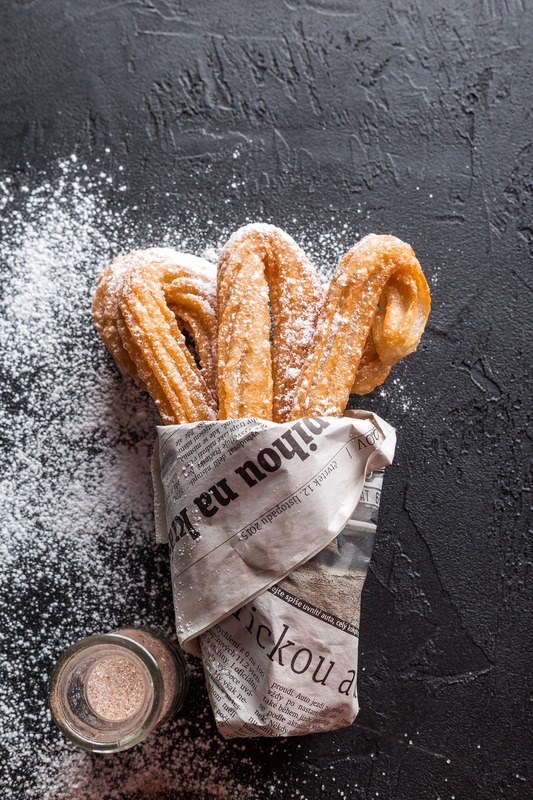 In Castilla la Mancha you can eat the typical rollos fritos, a delicious kind of donuts. The pestiños are another typical dessert for Holy Week, as well as the buñuelos de cuaresma o de viento (fritters). The alpisteras, with eggs, flour, sugar and anise and lecha frita (fried milk), are other examples. As you can see, the variety of sweets that are made in Spain during Holy Week are enormous and varied, but above all, utterly delicious. Have we forgotten a typical, sweet Easter dish? 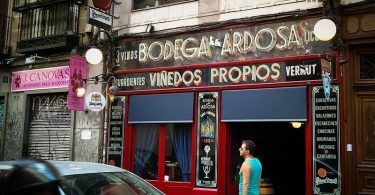 The Bodega de la Ardosa – the best kept open secret in Madrid.